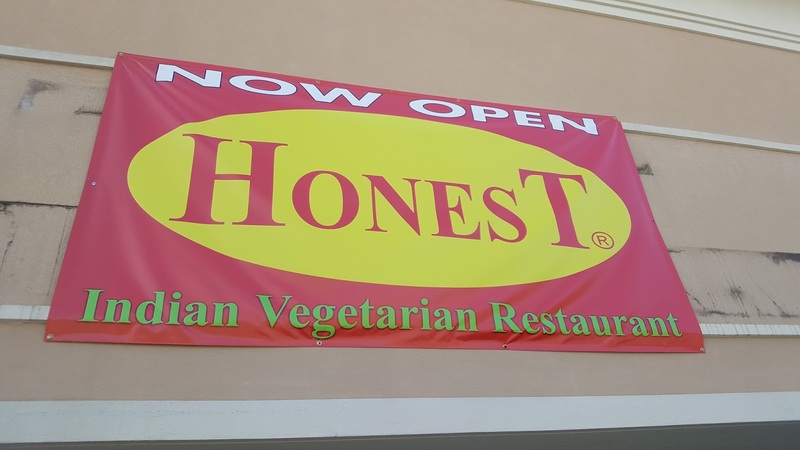 Honest is the latest restaurant in Patel Plaza. 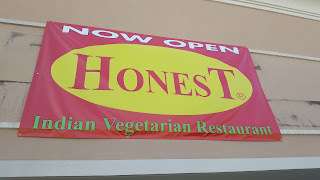 The menu is vegetarian and based on South Indian dishes. The walls are adorned with photos of the company's beginnings as a street food cart in India. The staff was very friendly and helpful. 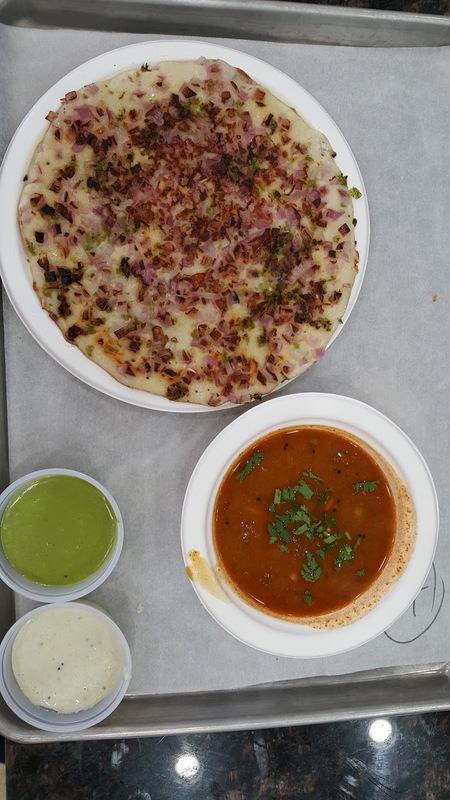 My lunch was an onion chili uttapam. The red onion on a flat bread reminded me a little of certain pizzas that use red onion. I am not sure of the name of the light green sauce but it is always my favorite. This was a very good, hearty meal. You don't have to be Indian to have your belly warmed and your mind calmed by Indian comfort food.